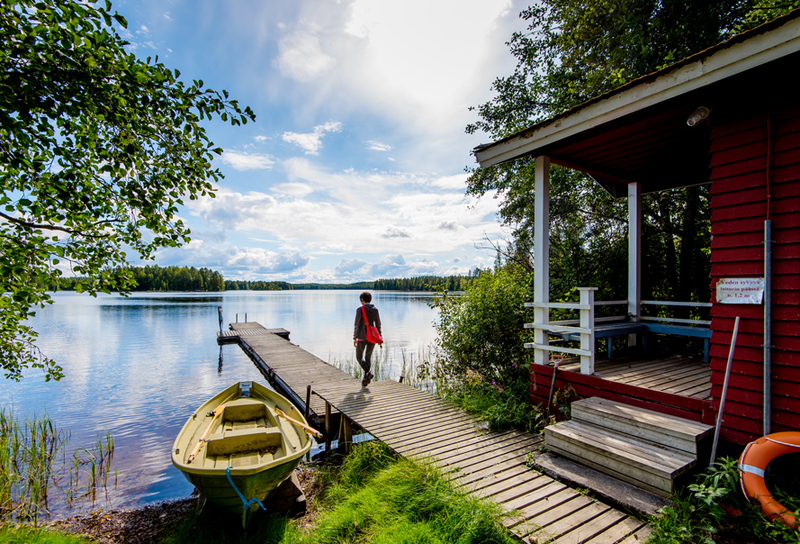 The Lake Saimaa is the 4th largest lake in Europe providing attractive environment for holiday making and leisure activities in the lake archipelago. Last summer the Wall Street Journal ranked Lake Saimaa among the top 5 lake destinations in the world, while the 5 week long Savonlinna Opera Festival is ranked among the top 5 opera festival in the world. Savonlinna has already development experience and expertise in senior travel. Water is a key element in Savonlinna landscape, being located at the crossroads of Lake Saimaa water routes in a very attractive location. Savonlinna is also well reputed as destination for spas, wellbeing and rehabilitation activities. Day 1 Arrival Savonlinna to Spa Hotel Casino. Dinner. Day 2 Breakfast Savonlinna walking tour with guide, duration 4 hours (distance 2km) Get to know Savonlinna ´s main sights: Olavinlinna castle, Riihisaari Museum, Savonlinna Cathedral. The building of Olavinlinna, castle of St. Olaf, began in 1475. The Danish-born founder of the castle, knight Erik Axelsson Tott, decided that a powerful fortification should be built to protect the strategically important Savo region. The changes in the ownership of the castle left their mark on Olavinlinna: this can be seen in the varied architecture of the castle. Riihisaari is home to the exhibitions of Savonlinna Provincial Museum and Saimaa Nature Exhibition centre run by Metsähallitus which also provides hiking information. 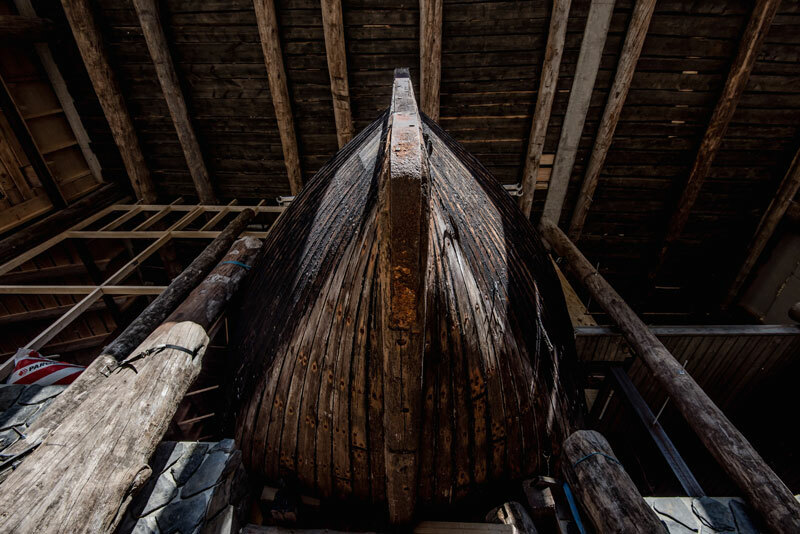 The Provincial Museum concentrates on the history of South Savo and particularly on preserving, studying and presenting the history of sailing on Lake Saimaa. During the summer the unique steamships moored at the museum are open to visitors. There is also a nice gift shop. Dinner. Day 3 Breakfast Boat cruise in Lake Saimaa Visit Finnish farm, lunch included with guide -get to know Finnish lifestyle. Day 4 Breakfast. Tour to Punkaharju, duration 4 hours with guide. Get to know surroundings of Savonlinna, Forest Museum Lusto and Punkaharju ridge area, our national scenery. Lusto is a national museum and science centre focusing on Finnish forest culture and illustrating the interaction between man and the forest from the past to the current days. Dinner. Day 5 After breakfast departure home. Day 2 Breakfast Day tour to Linnansaari national park, duration 5 hours with guide. Transfer by bus from Savonlinna to Oravi. From Oravi by boat to Linnansaari. In Linnansaari, guided walking tour and picnic lunch by the fire. Linnansaari, in the heart of the Finnish Lake District, is an ideal place to spot rare lake seals and majestic ospreys. The waters of the park are dotted with lush green islands and rocky islets. At Linnansaari Croft traditional slash-and-burn farming practices are preserved. The lakeland scenery is a delight all year round. A boat service takes trippers to the main island during the summer. Dinner. Day 3 Breakfast. Tour to Punkaharju, duration 5 hours with guide. Get to know surroundings of Savonlinna, Forest Museum Lusto and Punkaharju ridge area, our national scenery. Nordic walking tour and sleeping bag relaxation moment. Lusto is a national museum and science centre focusing on Finnish forest culture and illustrating the interaction between man and the forest from the past to the future. Lusto’s exhibitions, events, work demonstrations and theme days provide a diverse and illustrative insight into the significance of forests in the life of Finns. Lusto is sure to appeal to visitors of all ages. Thanks to its outstanding scenery, the Punkaharju ridge has been an internationally renowned travel destination for more than two centuries. 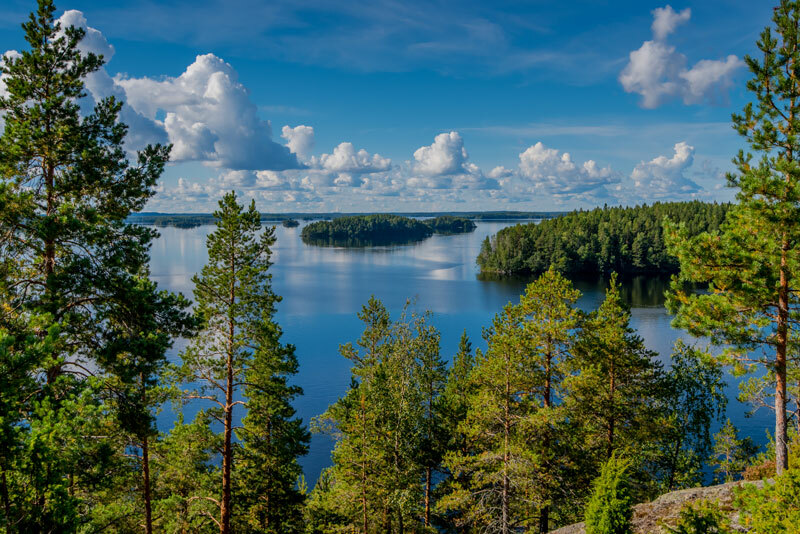 Punkaharju, with lakes glistening between the grand pine trees growing on both sides of the ridge, is the best known national scenery and strongest attraction of the area. It is easy to savour the scenery from the marked routes and trails that crisscross the ridge. The clear-watered Puruvesi and Pihlajavesi lakes glisten between the tall trees on a sunny summer day. Dinner. Day 4 Breakfast Finnish farm or summer cottage visit with picnic lunch, duration 4 hours. Dinner. Day 2 Breakfast. Savonlinna walking tour with guide, duration 4 hours (distance 2km). Get to know Savonlinna ´s main sights: Olavinlinna castle, Riihisaari Museum, Savonlinna Cathedral. Dinner before or after the opera. 19:00 Opera in Olavinlinna castle. Over the years, the Savonlinna Opera Festival has grown from a one-week event into an international festival lasting a month. Each year it performs to a total audience of around 60,000, a good 10 per cent from abroad. 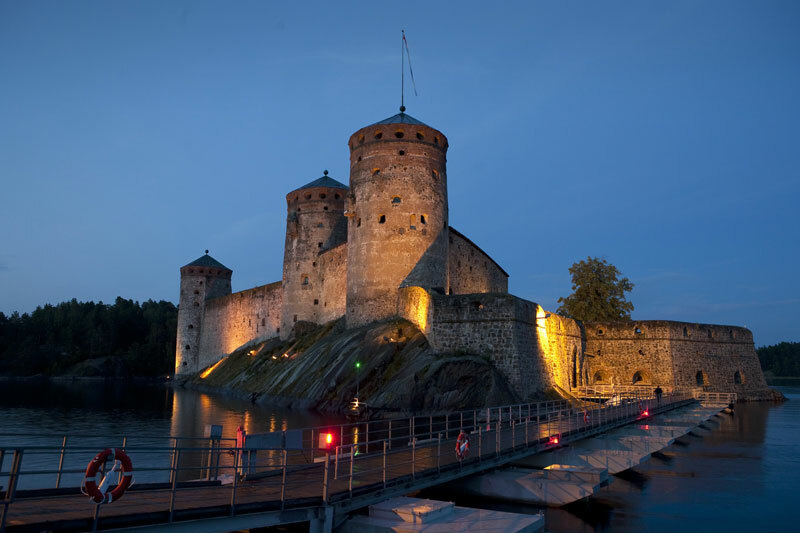 Savonlinna has become a byword among opera lovers the world over. Its artistic standard was already attracting widespread interest and admiration back in the 1970s, due greatly to the unstinting efforts of its Artistic Director, the world-famous bass singer Martti Talvela, to achieve the same objective as Aino Ackté in her day: to place Savonlinna on an artistic par with the great European festivals while presenting the world with Finnish opera at its very best. Day 3 Breakfast. Tour to Punkaharju, duration 6 hours with guide. Steamboat cruise from Savonlinna to Punkaharju, lunch onboard. Visit artist Johanna Oras manor and art gallery. Return Savonlinna by bus. Dinner before or after the opera. 19:00 Opera in Olavinlinna castle. Day 4 Breakfast. Tour to Kerimäki, duration 2-3 hours with guide. 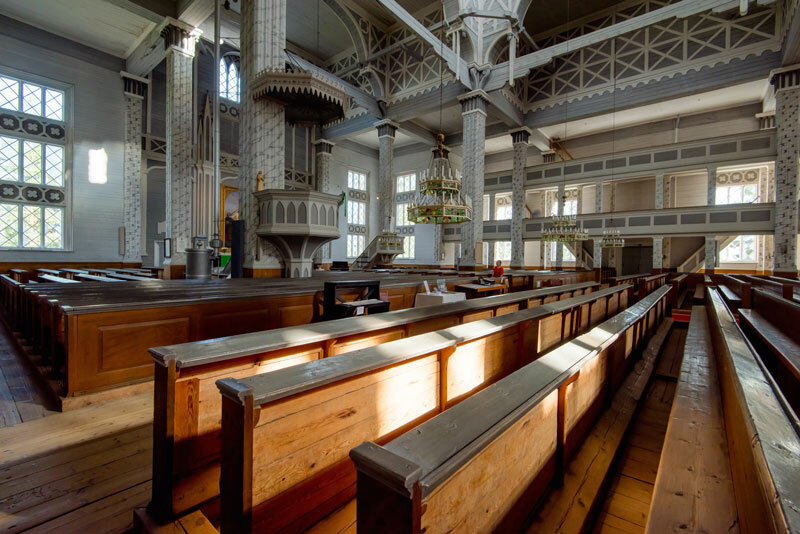 Visit Kerimäki church, the biggest wooden church in the world. Dinner at the roof terrace. Evening music. Day 2 Breakfast. Savonlinna walking tour with guide, duration 4 hours (walking distance 2km). Get to know Savonlinna´s main sights: Olavinlinna castle, Riihisaari Museum, Savonlinna Cathedral. The building of Olavinlinna, castle of St. Olaf, began in 1475. The Danish-born founder of the castle, knight Erik Axelsson Tott, decided that a powerful fortification should be built to protect the strategically important Savo region. The changes in the ownership of the castle left their mark on Olavinlinna: this can be seen in the varied architecture of the castle. Riihisaari is home to the exhibitions of Savonlinna Provincial Museum and Saimaa Nature Exhibition centre run by Metsähallitus which also provides hiking information. The Provincial Museum concentrates on the history of South Savo and particularly on preserving, studying and presenting the history of sailing on Lake Saimaa. During the summer the unique steamships moored at the Museum are open to visitors. There is also a nice gift shop. Dinner. Day 3 Breakfast. Craft and design tour, duration 4,5 hours. On this guided tour you will get to know Eastern Finnish handicraft design. You will meet local artisans and visit their charming and authentic workshops and boutiques. Listen to bits of local history and distinctive stories about craftsmen and their way of life. See wonderful milieus, and fall in love with the characteristic atmosphere and products of this small town.Dinner. Day 4 Breakfast. Tour to Punkaharju, duration 4 hours with guide. Visit Lusto Forest Museum and Arboretum. Making a birchbark-ring workshop. Dinner.